Volunteerism has always been an important part of civic, cultural, and economic life in the Arab world. It has taken on even more significance since the 2011 uprisings. In some countries, civil society is playing a larger role than ever before — and in others, it is playing an important role, or a different one, for the first time. All countries in the Arab world, however, stand to benefit from providing young people with more chances to volunteer, with an emphasis on service-oriented opportunities that include skills training, educational assistance, and community development. Gallup finds links between volunteerism among young people and entrepreneurship that suggest such an emphasis could support much-needed job creation in the Arab world. Young people who volunteer are generally more likely than those who do not to say they have access to the training, money, and partners they would need to start a business. This brief addresses those links and several other questions regarding the current state of volunteerism in the Arab world, including where 15- to 29-year-olds are most likely to volunteer for organizations as well as who these young volunteers are. The answers are based on survey results from 19 Arab world countries and areas plus the Somaliland region of Somalia in 2011. This information can provide policymakers with new insights about how volunteer programs contribute to healthy, prosperous societies. Young people in the Arab world are among the least likely worldwide to say they volunteered their time to an organization in the past month. Young men and women who volunteer are more likely to know someone they would trust enough to start a business with and to have access to the training and money to start a business — both factors crucial to entrepreneurship. These relationships are significant across countries at various levels of per-capita GDP. Volunteerism varies among high-income, middle-income, and low-income countries. Young people in all middle-income countries are less likely than average for the Arab world to say they have volunteered their time to an organization in the past month. 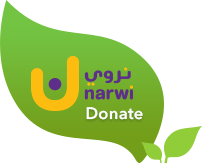 Awareness of social organizations, nongovernmental organizations (NGOs), and charities that offer opportunities to serve the community is highest among young people in high-income Arab countries. However, awareness of opportunities to serve does not always translate into higher volunteerism rates. Young men and young women in many Arab countries — particularly middle-income countries — are just as likely to say they volunteered their time to an organization in the past month.